For a calendar of upcoming events, please click here. The Louix Dor Dempriey Foundation hosts ongoing educational programs and humanitarian service events all around the world. There are Study Groups in various regions of the United States (Southern California, Chicago, and New York), Canada (Vancouver), Australia (Melbourne), which host ongoing public meetings. These Study Groups, which are facilitated by Louix's disciples, devotees, and students, provide a forum for people in the local community to explore Louix's teachings and the practical application of the many tools he offers to accelerate one's spiritual development. To establish a Study Group, or to find out information about study groups in your local area, please contact: sylvia@Louix.org. Louix's ashrams host regular community service programs, including Global Clean-up and Forests of Fruit. For more information, please contact: graceinaction@Louix.org. In addition to the ongoing community events held in his name, Louix leads pilgrimages to sacred sites around the world, and is hosted by individuals and groups for public darshan evenings and retreats. These events offer the opportunity to spend time with Louix, experience his Divine Grace, and immerse oneself in his teachings. During these events, Louix gives discourses on various aspects of self-mastery and Enlightenment, and facilitates Q&A sessions, sacred ceremonies, and meditations. 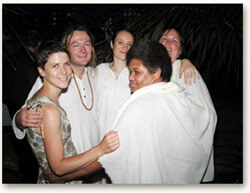 In previous years, Louix has led sacred pilgrimages to Sedona, Maui, Mt. Shasta, Central Australia, Egypt, Israel, Kenya, and India. 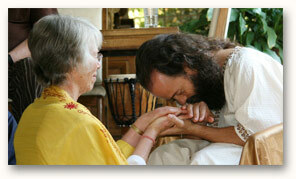 Over the last decade, he has also held retreats in the United States, New Zealand, Canada, Australia, and Japan. For information about upcoming events, please contact: info@Louix.org. For information about hosting Louix for an event in your area, please contact: events@Louix.org.